This Samsung Black Stainless Steel 28 cu. ft. ultra-large capacity French Door refrigerator has enough room to fit up to 28 bags of groceries. 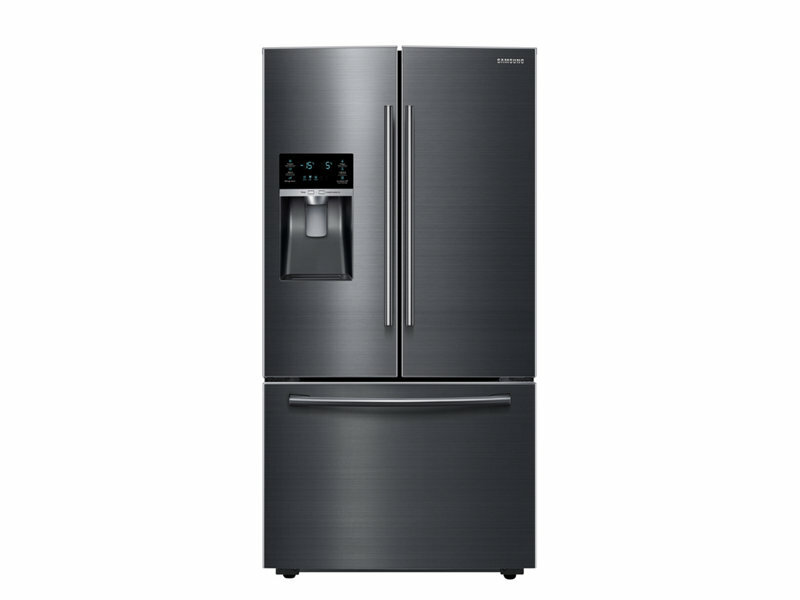 This Samsung refrigerator’s Ice Master produces up to 10 lbs. of ice per day and stores up to 4.2 lbs. of ice. This space-saving design leaves more room in the refrigerator.